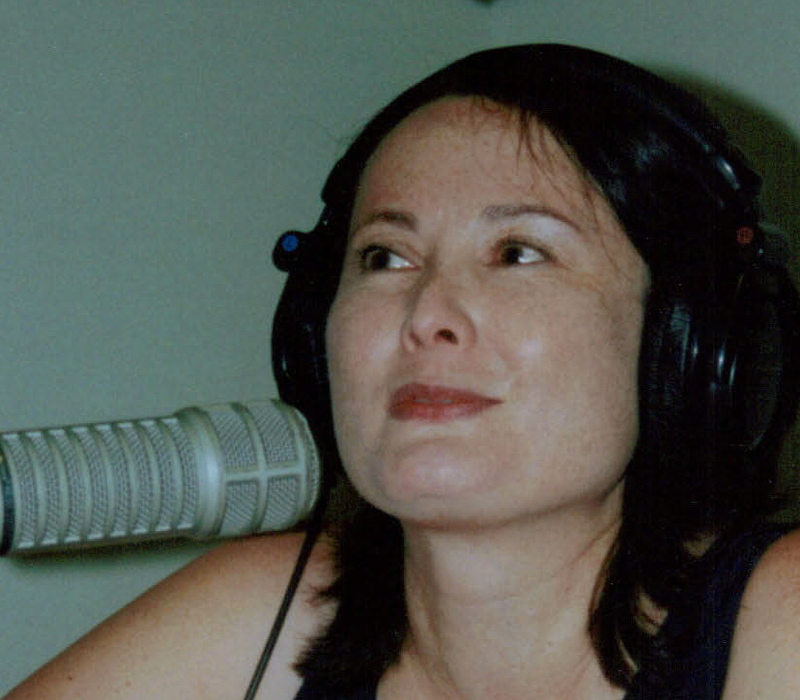 I fell in love with public radio in the 1980s while getting my degree in journalism at the University of Oregon (UO). At first I thought I’d go into print but then I started volunteering at KLCC, a community station in Eugene, and I was hooked. I had no idea I could love recording sounds and voices and weaving words, interviews and ambience into tightly structured mini-movies. When I graduated from UO, I freelanced 30 to 40 pieces a year for National Public Radio (NPR) and then started applying for grant funds. I wouldn’t have been able to produce Peabody-award-winning documentary Mei Mei, A Daughter’s Song. without public radio and public funding. It was one of the first multicultural personal documentaries of its time and the most emotional and technically challenging piece I’ve produced. Public Radio has been on the forefront of arts and news programming for decades providing longer pieces with depth and personal connection to its audience. That audience has grown to now roughly 11 percent of America. A good amount of credit is due to the popularity of NPR’s news programming that now focuses on shorter news pieces rather than the longer format documentaries and stories that I’ve produced the last couple decades. Many people don’t understand that NPR is simply a network along with Public Radio International (PRI) and American Public Media. There are also independent producers (such as myself) who produce long-form programs by distributing directly to stations. NPR (albeit the largest network) doesn’t represent all public radio, non-commercial and community stations in the country. But it has worked to make the NPR “brand” familiar to the mainstream, so much so that often many listeners mistakenly refer to NPR as the name of their local stations. The organization depends on these local stations to pay large fees for NPR programming. A station is only an “NPR station” when they pay these fees and air NPR shows as in the case of Oregon Public Broadcasting (OPB). There are may non-NPR radio stations across the country. A few in our immediate area include jazz station KMHD in Gresham or Portland’s “All-Classical” FM KQAC (formerly KBPS) or the or eclectic community station like KBOO also in Portland. NPR has been in the headlines lately. Unfortunately, it may have made itself a target by becoming more of a mainstream news organization. The recent video sting to catch NPR management. At issue are alleged liberal bias blunders and the onslaught of conservative politicians aiming to cut funding to public broadcasting are more of an effort to attack NPR as a “liberal” news source. The effort to cut funding will harm NPR less than individual stations instead—especially those located in rural areas and in the small towns and cities of America. Many of these stations receive Corporation for Public Broadcasting (CPB) funding. These stations serve their local communities by providing local news and public affairs that commercial media might not cover because they don’t generate ratings or advertisers. In my 25 years as an independent public radio producer, I’ve produced documentaries and feature stories about almost every possible multicultural community and told the stories of countless persons of color. I’ve also worked with youth, seniors, people with disabilities, teens with mental health issues, the homeless, survivors of crime, the terminally ill and those overcoming cancer or grieving lost loved ones. 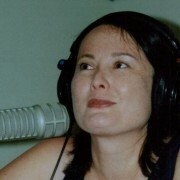 I certainly never would have been able to produce radio’s first (and to date) only Asian-American history series, Crossing East were it not for public funding from CPB and the National Endowment for the Arts (NEA) and regional funders such as the Oregon Arts Commission and the Regional Arts & Culture Council. I can’t imagine Crossing East funded by a car company or a fast-food chain that might have wanted to influence the content of the documentaries. Certainly a commercial radio station wouldn’t have aired eight hours of Asian American history. Without a dedicated community station that allows volunteers to develop and produce programming like Portland’s KBOO (which doesn’t receive CPB funding), I would never have had the opportunity the last 14 years to feature the artistic community of Portland and beyond via my weekly Stage & Studio show. Through national shows (on NPR and PRI), I’ve produced as an independent producer, arts features and human-interest stories about people, organizations and communities who have made a difference in Oregon. For me the mission of public radio is to educate, illuminate and give voice to the underrepresented in our communities—without commercials or influence by sponsors. This mission is practiced by many independent producers as well as by local public radio stations around the country. I’ve trained scores of young people and professionals to carry on this mission of public service. While NPR programs often focus on its core audience of white, educated, liberal listeners, the network doesn’t represent the demographics of all public radio stations. I’ve heard from ESL students, cab drivers, farmers and store clerks who have told me they love public radio. They may call it NPR but after a few questions, I find they mean their local station, which may or may not have NPR programming. Let’s not punish the entire public radio system by assuming that cutting CPB funding may in some way stop NPR news programs. It won’t. What it will do is hurt local radio stations serving the public interest by giving voice to its local citizens and communities in a way that commercial broadcasting never cannot.